Garden Hotel is one of the best of a clutch of budget spots located north of 26th Street in a rectangular area stretching up to 22nd. Ad Book now! 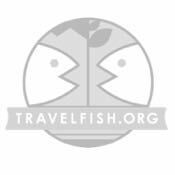 Rates from US$17.32++. Average rating 6.1 from 8 reviews. The clocktower and Zay Cho market are a couple of blocks south and the moat a couple east, but we never did work out where the titular garden is. You have a choice of fan-cooled rooms with shared bathrooms or air-con, ensuite ones for a few dollars more. Rooms are obviously nothing flashy though we reckon acceptable for the price and look well maintained. The decor stretches to bathroom tiles on the walls and tatty curtains, though there is space for a cupboard, desk and chair. Bathrooms have hot-water showers and ensuite versions come with toiletries. TV, WiFi (in the lobby only) and breakfast are also included. Air-con units seem a bit on their last legs and neither plumbing nor electricity is really up to much, but overall we’ve seen worse in Burma for more money than at Garden. The breakfast is as basic as the rooms are, and be warned that there’s no lift to reach any of the six floors. Many rooms, including air-con ones, don’t have any windows. At the front some do have views and some even have balconies, but as it’s tightly sandwiched between Nylon Hotel and New Nylon, side rooms look directly onto the wall next door. Under the circumstances then, lack of window isn’t a big disadvantage. Garden Hotel isn’t as well-known as its neighbours, so you might have more chance finding a room here, and staff members perhaps make a bit more effort. Note that there is no high season supplement, either. Last updated on 27th September, 2016. 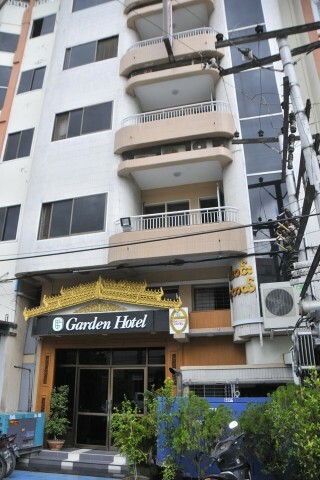 Check rates at Garden Hotel on Booking.com. A selection of some of our favourite sights and activities around Mandalay. Where are you planning on heading to after Mandalay? Here are some spots commonly visited from here, or click here to see a full destination list for Burma_myanmar.